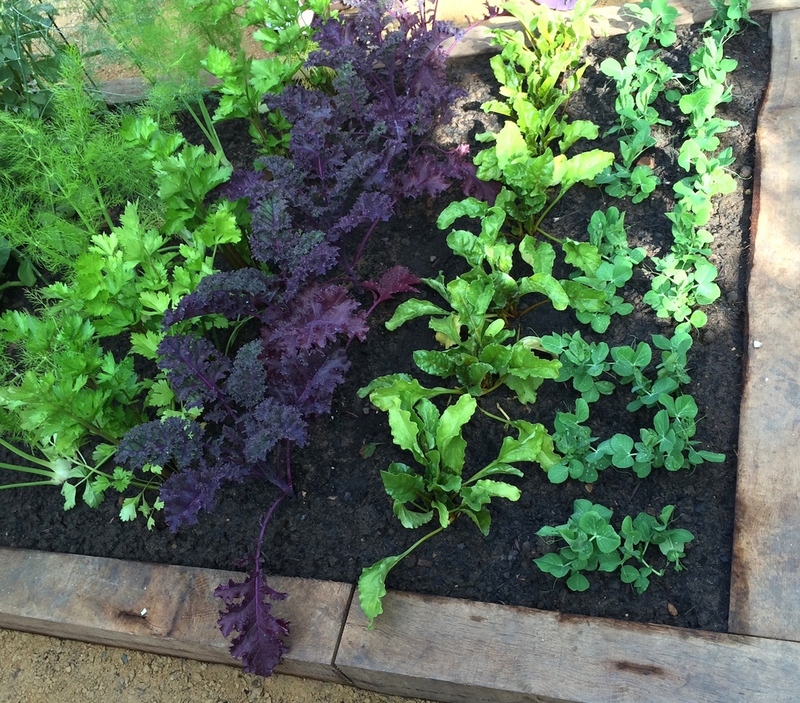 Marston & Langinger's Potager or vegetable and herb garden at Chelsea Flower show yesterday was my absolute favourite. Set just outside a beautiful grey painted conservatory, its structured, relaxed, almost cottage garden feel is enchanting. I love to read Nigel Slater's description of his constantly growing fruit and vegetable garden - designed like a traditional potager in squares rimmed by box hedges.